5 proven tips on How To Sleep Better Everynight. Getting enough sleep comes with many benefits, anything from emotional balance, increasing your productivity to having energy during the day – all day! Also, don’t forget, it even helps with your weight control. Getting enough quality sleep is one daily habit that can dramatically improve your life. 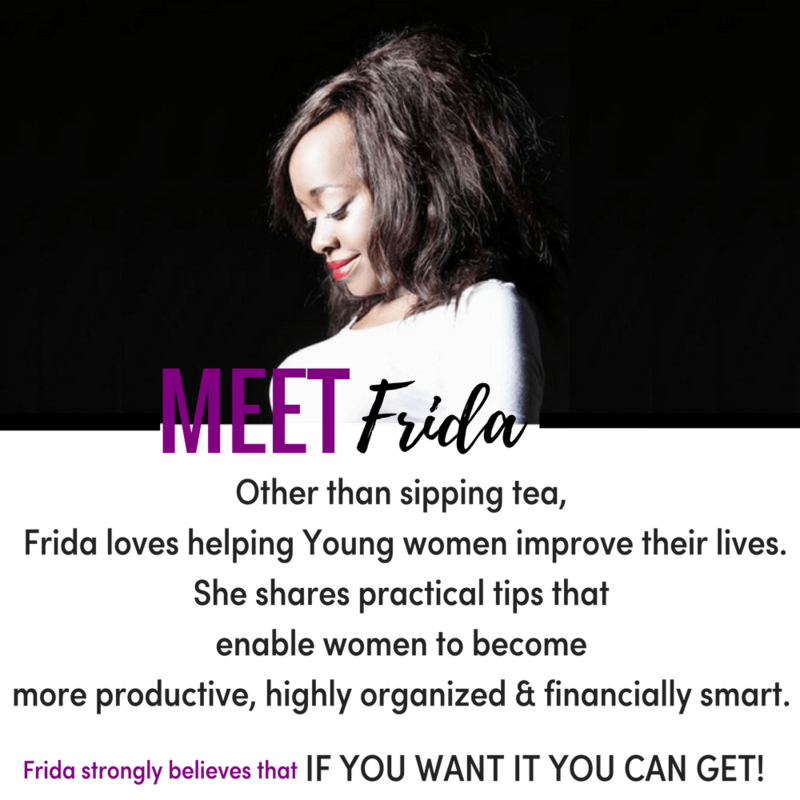 But one key thing you should know is that your sleeping pattern is determined by your daytime routine and evening routine. These two play a part in what kind of sleep you will have. You only need to make simple changes in your habits; this will pay off big time. But let's see – is it only routines you need a change in order to improve your sleep quality? Obviously not! How To Sleep Better Everynight. There are many things and other ways that you could try and apply to have better night’s sleep every day. Let's have a look and read below. Limit the length of your nap time. If you are like me, someone who takes a nap almost every day, then you may need to limit the nap time to 15-20 minutes. Taking longer naps especially in the early afternoon can affect your sleep at night. Making you feel more sleepiness at night. Have a specific (and consistent) bedtime. Set a specific same time to go to sleep every day. Let's say you choose 10 pm so every day at 10 pm you should be in bed. Setting up the same bedtime can be super important because by doing this you will be helping set your body’s internal clock and optimize the quality of your sleep. Its science but it 100% works. Be smart about what you eat/drink before bedtime. It's essential to note that your eating and drinking habits at night play a role in how well you will sleep at night. Spicy food is acidic and can cause stomach heartburns. Excessive drinking of fluids results in frequent bathroom trips throughout the night. Cut back on high energy drinks and sugar at night since they trigger wakefulness at night. So, watch out for the meals and drinks you put into your body before bedtime. Keep away from meals that will throw you off of your sleeping pattern. Sometimes the slightest changes can bring a major improvement to your sleep quality. Things like Adjusting your room temperature to how you prefer it to be, some like their room warm, while others prefer cool. Whichever is your preference – go for it so that you may be comfortable at night during your sleep. Make sure your bed is comfortable, especially if you use a pillow, always ensure your pillow is comfortable. I decided to replace get my old pillow which already had lumps and had become saggy. I replaced it with this pillow from Amazon. I was shocked how much different they were. I even went ahead and replaced all my pillows in the guest room. They were super comfortable just have a look here, 4000+ people what others are saying about it. Try and keep your bedroom quiet from outside noise. You might want to consider a white noise machine if your space is too-quiet. This white noise machine has been received over 3000 positive reviews just click to read. Closing Thoughts on How To Sleep Better Everynight. 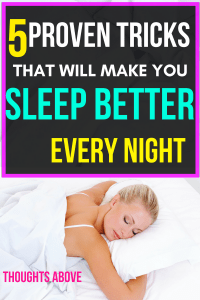 You have now gone through these five ideas to help sleep better improve your sleep quality now it's your turn to choose what will work for you. The key is trying willingly and with a positive attitude, and wait and see the miracles happen! I want to tell you again (because it is so important!) that sleeping has many benefits to taking a drastic step in the right direction, to get you to have enough, calm, and rejuvenating nights of sleep each night. What lack of enough sleep does to our body. 10 daily habits that will instantly change your life. 15 productive things to do when alone bored. 10 clever tips to make your life feel a little bit easier. 5 things must do before bedtime. Self-care tips that will help you relax after a long day. 10 organizational hacks for the lazy girl.